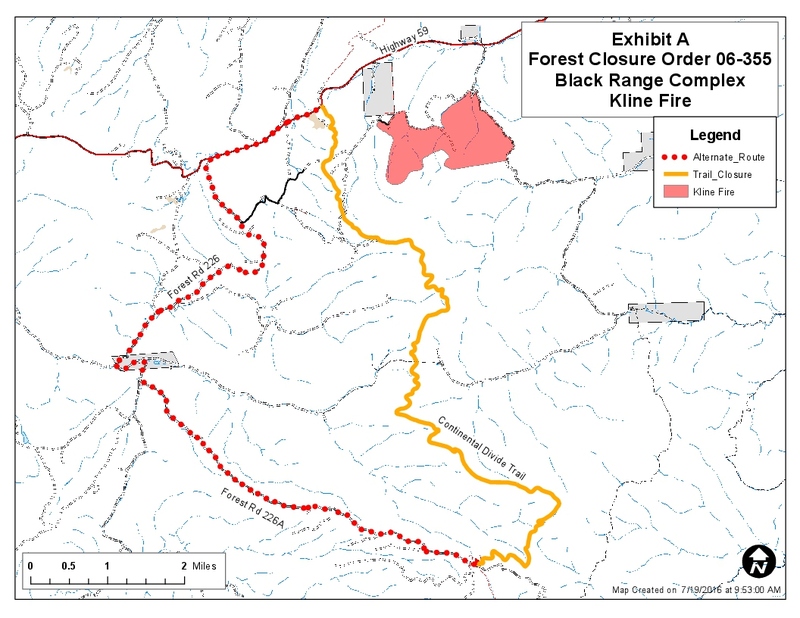 A closure order is in effect on the Black Range Ranger District in the area of the Kline Fire. The Continental Divide Trail between its junction with Forest Road 226A and Highway 59 is closed. The detour runs west along 226A, then north on 226, and re-enters the Continental Divide Trail at Highway 59. The purpose of this order is for public safety. The order will be in effect until December 31, 2017 or until rescinded. Violations of this closure order are punishable as a class B misdemeanor.